Wheelchair accessible vehicles are changing. From the three-wheeler mobility cars of yesteryear we have developed to modern, stylish wheelchair accessible cars and vans offering convenient wheelchair access, comfort and safety. 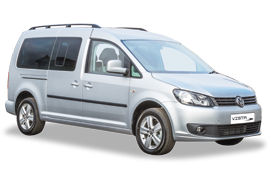 Now there’s even the option for wheelchair passengers to sit up-front, with Allied Mobility’s new range of up front passenger and drive from wheelchair accessible vehicles. John and Ruth Ross, from Tain near Inverness, recently took delivery of the very first new Peugeot Impulse up-front wheelchair passenger vehicle from Allied Mobility. This delivery marks a milestone for Allied Mobility in the expansion of its range of wheelchair accessible vehicles, making the new Impulse up front wheelchair car the sixth addition to Allied’s market-leading family of mobility cars. Having owned two wheelchair accessible vehicles previously, John decided to look for a car which would allow his wife, who uses a power chair, to sit upfront beside him. John also wanted a car which didn’t require the use of wheelchair restraints when securing Ruth’s power chair. After discussing a new vehicle with their family, the couple decided to take a look at the new Peugeot Impulse. Introduced this year, the Impulse is different from Allied Mobility’s other mobility cars in that it allows the wheelchair user to either drive in their wheelchair or sit in the up-front passenger position, allowing Allied to offer wheelchair users more choice and flexibility to suit their daily living needs. 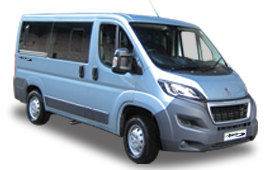 Based on the Peugeot Bipper, Allied’s new Impulse has been fully converted to allow wheelchair users maximum independence. With an automatic tailgate and wheelchair ramp, together with a completely flat floor, this stylish and nippy vehicle enables powered wheelchair users to enter the vehicle and secure their power chair without the need for assistance. 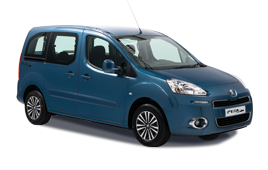 The Peugeot Impulse up front wheelchair passenger car is available to buy direct or for lease through the Motability Cars Scheme. 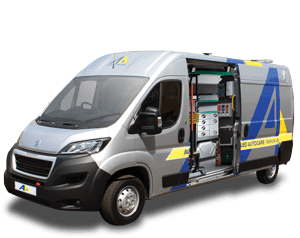 For more information or to arrange a free home demonstration anywhere in the UK call Allied Mobility free on 0800 916 3018, emailinfo@alliedmobility.com or click Peugeot Impulse here.